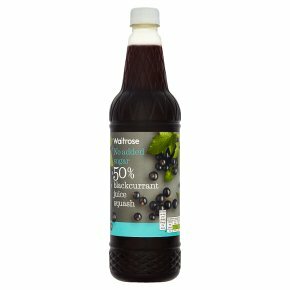 Concentrated no added sugar blackcurrant soft drink with sweetener. Contains fruit juice from concentrate. Contains naturally occurring sugars. Additional Cooking Instructions: Shake well before use. Dilute to taste, we suggest 1 part squash with 4 parts water. Add extra water for toddlers.